Check out ventusky (https://www.ventusky.com), an incredibily beautiful weather map service, wow! 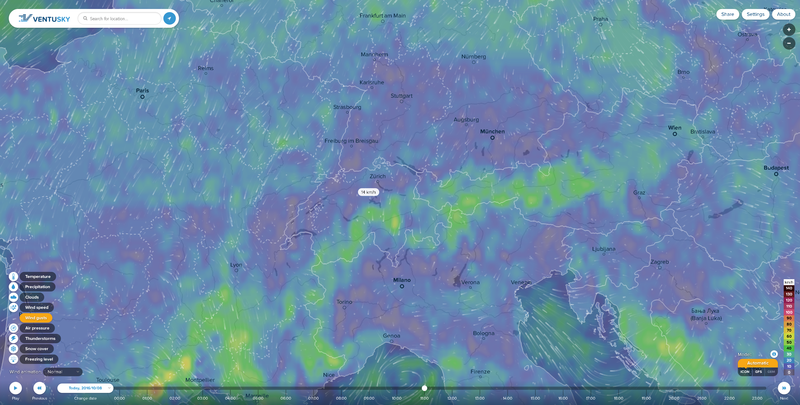 It's almost meditative looking at these wind, rain, and temperature patterns. The data is quite accurate after checking for a couple of days now. Nice work!